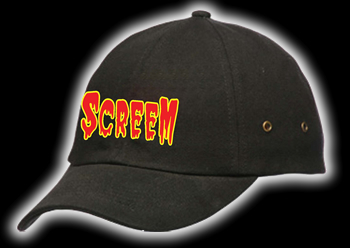 FLIP YOUR LID IN A STYLISH SCREEM CAP! a yellow border, making it stand out wherever you go. The black cap is made from comfortable sand washed cotton materials, and the adjustable strap will fit on just about every head(shrunken or otherwise).